Introducing ZipJet to you- an on-demand laundry service that literally frees you from the pesky chore of laundry! The ZipJet app allows you to schedule pick-up and delivery times of your choice. Gather your wash and fold items, and your dry-cleaning. No need to separate colors- this will be done by the cleaning facilities. You don’t even need to enter your credit card information- The app actually allows you to scan it with your iPhone camera! ZipJet is all about convenience. 10 minutes before your scheduled laundry pick-up time, you’ll receive a quick text from the driver that they’re about to arrive. A super friendly and professional ZipJet pilot arrives with one laundry sack labeled, “dry-cleaning” and the other “wash and fold.” Hand over your items as such, and you’re good to go! Within 24 hours and a time-frame of your selection, you’ll receive your laundry again- fresh, folded, dry-cleaned, and ready to wear. What will you use this sparred time for instead? ZipJet also happens to be supporting the British Red Cross in their current Clean Start Appeal. The goal is to bring clean water access to hundreds of thousands of people in Kenya and Bangladesh. 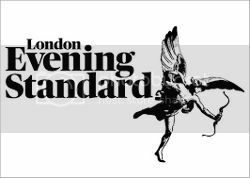 Clothing donations will be sold, with proceeds matched by the UK government to support this initiative. So don’t feel guilty about ditching your laundry chores! Just hand over one bag of clothing donations during your next order (also saves you a trip to the donations bin). It goes towards a great cause, and leaves your closet with less clutter. 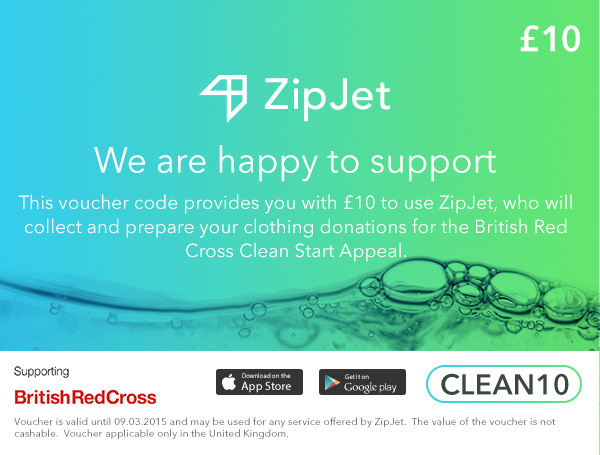 ZipJet has actually shared a special Red Cross voucher code with AG readers to give the service a try, and likewise donate unwanted clothing. Use this £10 voucher for your next order, and be laundry free. ** This is a sponsored post. Content has been generated by ZipJet.